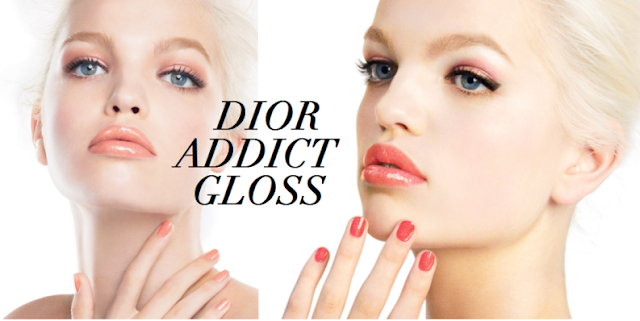 Of course, there is no way that I would have not noticed the new Dior Addict glosses (with matching nail polishes!). My love for lip gloss goes far. ^_^ There are 24 new colors and they are categorized in three types of finishes: the Shimmer, the Pearly, and the Pure. As I am in a coral/orange phase right now, there are quite a few that I am interested in. I particularly like the Délice color from the Shimmer category. The only thing that is stopping me from buying it, is the high price. Especially, since I still remember what happened with the first and the last Dior Addict lip gloss that I got. You can tell that it is from quite a while back, from the black and gold cap. Because I really love the color (a pretty, warm, strawberry pink) and I had gone through a lot of hard work during that time, I thought I should treat myself to something decadent and I bought my first Dior Addict lip gloss. Because it was so expensive, I wanted to save it for special occasions such as birthdays and special diners, and that's how it ended up to be still half full, right now. The good thing is that it is still smelling good (=still safe to wear on my lips, according to my standards ^_^). It also helps that I always wipe off the brush with a paper tissue after each use to get as less bacteria back in the lip gloss as possible. It is, like I said before, a beautiful, strawberry pink color. For a lip gloss, I was pretty impressed by the coverage. My bare lips are quite dark and the Dior Addict lip gloss was able to make my lips appear lighter and give it a lot of color. It feels really comfortable on my lips and totally non-sticky. However, it is slightly not moisturizing enough, as you can see by the lines that I got on my lips in the pictures. 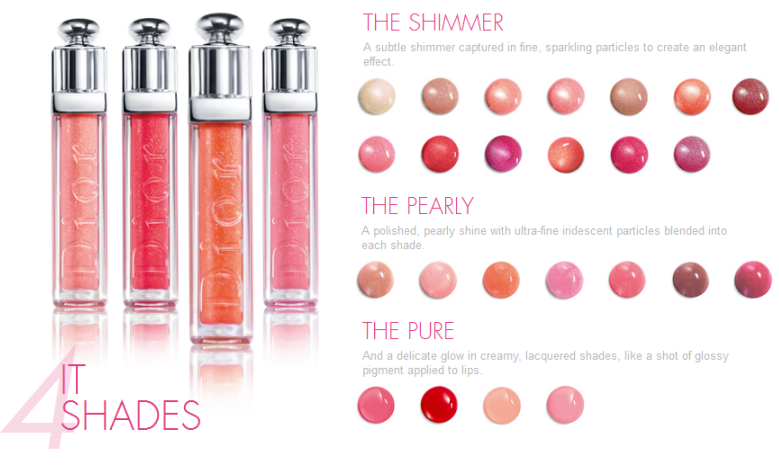 But since the new Dior Addict glosses have an improved formula, it might have become better in this area. The shimmer is also extremely beautiful. I just had to take these large close up pictures to show you.